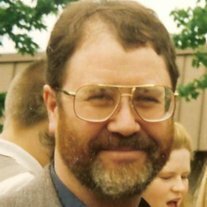 Brett Jay Flenar, 62, of Akron, Ind., passed away at 7:30 a.m. Sunday, April 21, 2013, at IU Health Methodist Hospital of Indianapolis, Ind., after being in failing health for two months. He was born April 23, 1950, in Warsaw, Ind., to Robert and Ellen Lee (Kesler) Flenar. On July 11, 1981, he married Valerie Burns in Rochester, Ind. She survives. Brett most recently worked for Rochester Rotational Molding and he had also worked for Kokomo Chrysler Transmission Plant and Federal-Mogul Corporation. He was a 1968 Mentone High School graduate and enjoyed camping with family, restoring antique tractors and engines, and the outdoors. He is survived by his wife: Valerie Flenar, Akron; daughters: Sandy Kay Rivera, Indianapolis; and Jessica Flenar, Kokomo, Ind. ; sons: Brian (Kayla) Flenar, Rochester, Ind. ; and Matthew (Abby) Flenar, Rochester; his mother: Ellen Lee Flenar, Mentone, Ind. ; six grandchildren; sisters: Diane (Lanny) Idle, South Whitley, Ind. ; and Lynn (Roger) Bucher, Fort Wayne, Ind. ; and a brother: Dan (Sherry) Flenar, Columbia City, Ind. He was preceded in death by his father: Robert Flenar. Visitation will be from 4 p.m. to 8 p.m. Wednesday, April 24, at King Memorial Home, Mentone. Services will be at 10:30 a.m. Thursday, April 25, at the funeral home with pastor Billy Steele officiating. Burial will be in Mentone Cemtery.